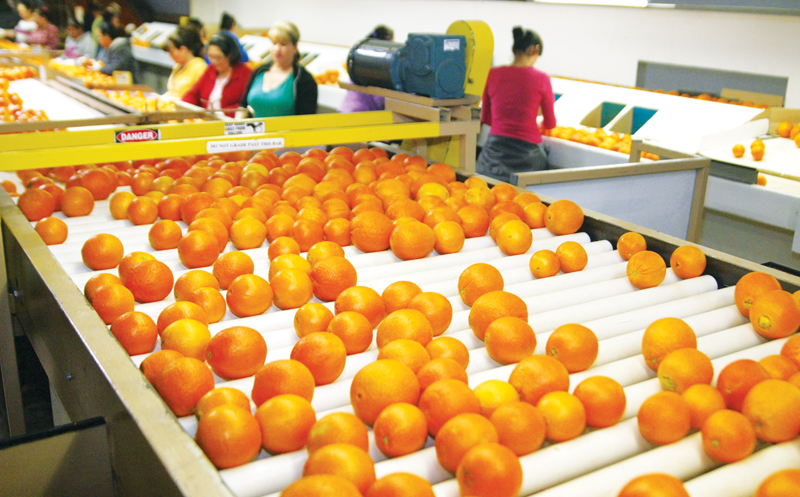 TULARE COUNTY – A Tulare County man alleges he was terminated from his job at a citrus company because of his age after 30 years with a citrus packing company. James K. Jordan, represented by Marderosian & Cohen in Fresno, filed a complaint on March 23 in the U.S. District Court for the Eastern District of California against Wonderful Citrus Packing LLC in Delano, Calif. According to the complaint, Jordan alleges that on Nov. 3, 2017, despite being a loyal employee of the defendants for more than 25 years, was terminated at the age of 54 with no valid explanation as to why he’d been fired. He alleges he was replaced by someone much younger and with much less experience and qualifications. Jordan, a Central Valley native, has a bachelor’s degree in plant science from Fresno State University, and had developed a career managing and advising citrus farming operations. In February 1991, Jordan, then 27 years old, went to work for Paramount Citrus Association (now known as Wonderful Citrus Packing). Jordan quickly moved up the ladder of the company when he was named a ranch supervisor overseeing 1,870 acres. His job duties included supervising the application of fertilizer, pruning, pesticide and herbicide sprays, the administration of time cards for ranch employees, working with outside vendors, and managing water. In 1999, Jordan was promoted to ranch manager and his territory and responsibilities more than doubled. In 2008-09 and again in 2014 Jordan was given more ranches to manage. Ultimately, Jordan was promoted to senior farming director in charge of seven direct reports and more than 7,000 acres of citrus. Jordan, after dedicating his entire adult life to citrus farming, said he wasn’t extended the courtesy of a valid explanation as to why he was being terminated on Nov. 3, 2017, was not provided with a fair opportunity to respond, and was not even offered a severance package or his bonus for the almost three decades of work. Following his termination, Jordan claims the company began spreading false rumors about him to justify the firing, including that he was involved with criminal activities, had been involved in changing time cards and was stealing from the company. The 54-year-old claims he was replaced by someone younger. Jordan is suing for age discrimination, wrongful termination, breach of contract, violation of California’s good faith and fair dealing laws, defamation of character, and emotional distress. He is suing for loss of wages, punitive damages, attorneys fees and costs, non-economic damages and other relief that the court or jury might rule.